"It's also worth noting that 15 of the 26 clay sets that Isner has played as a sub [1.50] favourite since the start of 2017 have gone to a tiebreak (against all types of opponents)." Yesterday in Paris saw a number of high-profile players struggle against less illustrious opposition. While Novak Djokovic managed a straight-set win over Jaume Munar, the scoreline was tight and wasn't nearly as dominant as expected, but the nature of his win was nothing compared to the likes of Alexander Zverev, Kei Nishikori and Grigor Dimitrov, who all had to come back from 2-1 down in sets to win deciders. It will be interesting to see if this is also the case today, with Fabio Fognini looking vulnerable at [1.21] against the improving Elias Ymer, while Denis Shapovalov also looks very short against another improving player, with more surface experience, in Max Marterer, who is a generous looking [3.75] to get the better of the Canadian, who is priced as being around top 15 level on clay, and this status is absolutely questionable. Several short-priced players whose prices don't look questionable include Richard Gasquet, against Malek Jaziri - the Frenchman's issues tend to come against better players, not worse - while Diego Schwartzman is correctly priced to get past Adam Pavlasek. In addition, Borna Coric's surging levels are illustrated by him being [1.09] to get the better of Thomas Fabbiano, and countryman Marin Cilic is priced similarly by the market against another improving young player in Hubert Hurkacz. With Juan Martin Del Potro and Rafa Nadal also extremely heavy favourites to progress, against Julien Benneteau and Guido Pella, respectively, it is evident that there are a number of lopsided match-ups on day five. 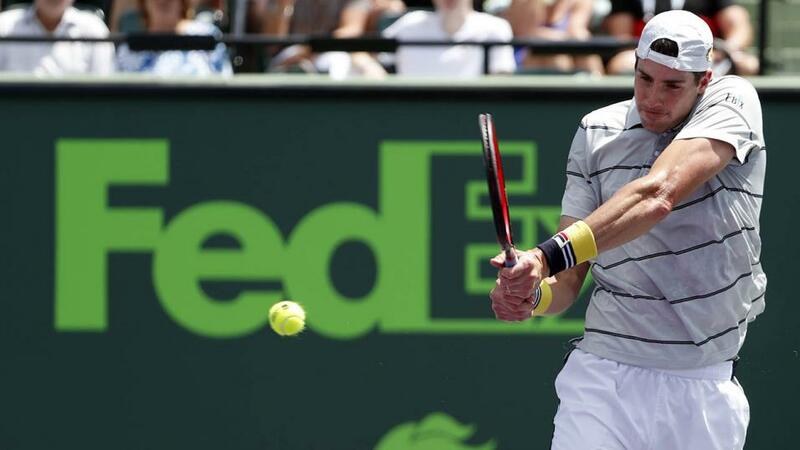 One match with the potential to be tighter is John Isner's clash with Horacio Zeballos. For this, Isner is [1.24], which I make very short indeed. In the last 12 months on clay, Isner's held serve 95.0% and broken opponents a mere 5.5%, and these stats are also indicative of longer-term levels from the big-serving American. Opponent Zeballos is just a day younger than Isner, with both having just turned 33, but hasn't nearly as such an illustrious career. However, he's competent on clay, winning 21 of his 39 matches at ATP level in the last 18 months on the surface. In addition, Zeballos also exhibits something of a serve-orientated dynamic, and this - combined with Isner's obvious propensity in this area - generated projected hold percentages in the high 90%s, according to my model. These then generated around a 72% chance of a first set tiebreak (implied odds of 1.39), and the market price at the Sportsbook on this eventuality is a much bigger 17/10. Given the huge discrepancy here, this is today's recommendation, and it's also worth noting that 15 of the 26 clay sets that Isner has played as a sub [1.50] favourite since the start of 2017 have gone to a tiebreak (against all types of opponents). To conclude with my thoughts on some other matches, Pablo Cuevas looks a little generously priced at [2.20] against Kevin Anderson, with the Uruguayan much more at home on this surface, while Steve Johnson's match against Jan-Lennard Struff looks potentially competitive, with Johnson correctly a slight favourite. I also think that Jeremy Chardy looks short against at [1.52] compatriot Pierre-Hugues Herbert, and perhaps the market is over-reacting following his epic five-set win over Tomas Berdych, which was concluded yesterday after four sets on Tuesday.